When I play online everyone assumes I'm male - Pioneer Project - Enjoying video games a little differently. Enjoying video games a little differently. Continuing on from my analysis of the gender norms inherent in the first person perspective. Like many I picked up Borderlands 2 recently. While it is a game that does have up to two playable female characters, I’m reminded of another reason with I’m disheartened with the gender norms in female character models. When I’m playing or talking about games online, almost everyone assumes I’m male. 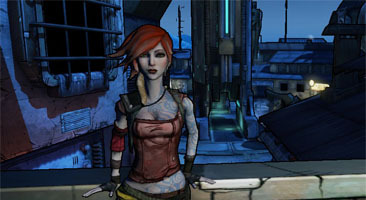 Some male gamers play as female characters when given the opportunity to experience something outside of their normal experience of the world. Confusingly many women gamers like myself play for the opposite reason. To experience our games in an body more akin to our identity, as the “different experience” is often the norm. So by playing in my preferred body, many gamers still expect me to be male. While this is a liberating choice for male gamers to be able to make, it does enable a certain amount of prejudice against women who genuinely identify as women. Conversely, some male gamers do not believe me when I state that I am a woman. These moments sway uncomfortably into hints of prejudice. Some gamers will urge me to shake such slights off. These are normally the same people who don’t have to concern themselves with reality of the wrong pronoun being used to describe them, or the wrong greeting, or even verbal abuse when playing a game. This is all because of me being a “she” instead of “he”. Unfortunately (and sadly so) my presence in games does still (even in this allegedly liberal decade) set a small minority of gamers off into a prepubescent rage*. This is despite the fact that online I do everything possible to flag up the fact that I am female. I use feminine sounding names for usernames, I always use female avatars on forums and other applications that require them. I mark myself as female on my profile. I’m certainly not ashamed of my gender, but I certainly know of many women (that because of the reasons above) use the lack of clarity surrounding their gender to decide when (or indeed if) to reveal that last detail of their identity online. Such is the ultimate irony of this situation. Because many men play as female characters, and because their isn’t any real benefit to revealing your gender online in the context of online gaming, or gaming discussion. All of us – male or female – are damned either way, usually by the lack of character choice. Somehow we’re encouraging these sorts of assumptions about who chooses to play games. I can certainly understand this. As choosing to speak up and correct someone on their assumption either leads to regret or discomfort for the person that has made the assumption, or a far worse reaction – an escalation into anger or violence. I choose to speak out (and constantly correct people) because otherwise how else is this community going to know that a very real, and growing percentage of the people they play with or against are women. It should provoke nothing other than understanding and tolerance, not shock or rage. I suspect some of the reasons for this, is the genuine for men to play using a female character – to tap into that different experience of play. I totally understand and respect their decision to do so, but I wonder if they realise how that decision (inadvertently) makes the playing field that much harder for women. We need to take the root causes about why these odd assumptions about gender online still happen. 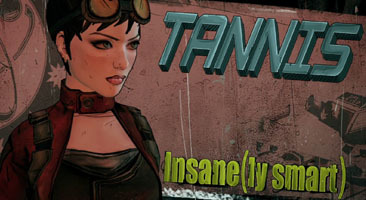 Games should have more female characters – but crucially, I’d have to argue against the Borderlands method for separating classes by gender and ask instead that all classes have male and female options. It would make things much easier for everyone, and take a little pressure off women who identify as women, and men who want to play as classes like the siren. I hope this post vocalises a constructive observation of what I (and many other women who play games) go through on a daily basis. I write only to inform and speak more openly on this topic. As promised in my recent post on prejudice in the gaming community. * I note with interest, that I have being playing video games longer than the vast majority of people who consider my presence in “their game” to be a problem. Thanks for reading! Why not subscribe to my RSS feed or get updates by email to be informed of my next video games update? Eeep! Now I feel a bit guilty for using female characters. Coincidentally, we (very briefly) mention one of these issues on the Barrel Roll podcast we just recorded (that isn’t up yet). That being the “one character class is female and the rest are male” that can be found in the first Torchlight, Heroes of Ruin, and other games. 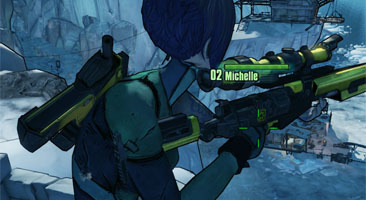 Definitely agree that Borderlands 2 should have had gender choice for every class. Switching gears, the whole “boy’s club” mentality a lot of gamers have is really sad. You would think that the social connectivity of the internet in this modern era would educate people into realizing that tons of women play games regularly, but we’re still overrun by people who just can’t accept this. It’s baffling and depressing. Comments on this update are now closed. XHTML - Subscribe to Pioneer Project - Back to top Pioneer Project is by Michelle B. Powered by Wordpress - Read the Disclaimer.